One of the most gorgeous areas in Southern California is the isolated stretch of highway between Santa Clarita (Magic Mountain) and Ventura. While the savvy locals use it as an alternative thoroughfare, it’s generally uncrowded and always scenic. The valley features rolling hills that remind one of Italy, a wide variety of agriculture to observe, and charming towns replete with their unique histories. Fruit stands, wineries, antiques, and a honey farm along the way are tempting even to the most determined cacher. I’m always happy to see fresh hides go in up there, and I have another excuse to take a relaxed journey through the countryside, and revisit the towns of Piru, Fillmore, and Santa Paula. This last trip was with f0t0m0m, who did the routing homework for us, and even included a short hike (gasp!) in the itinerary. Do they train the chickens? I especially love finding places where the sounds are like natural symphonies. Take a moment and enjoy the chirps of various birds and the gentle squeaking of the oil “bird”. Until next week, I wish you relaxed and scenic caching! I’m sitting in the breakfast bar at the Best Western in Porterville with f0t0m0m, preparing for our third day of caching around the area. We’ve dipped in and out of the Sequoia National Forest during the last two days, and today we will cruise through the local orange groves and agriculture. Our numbers have not been quite what we’d hoped, as we only got 35 on Wednesday, bogged down by curvy mountain roads and a high DNF rate, but yesterday we managed to find 100 in 12 hours. Our mettle was tested literally in the 11th hour. With only 6 caches needed to make the magic 100, 6 out of 8 were DNFs! We were either tired or they were missing, or both, nevertheless we persisted and found the four more after that to reach our goal. 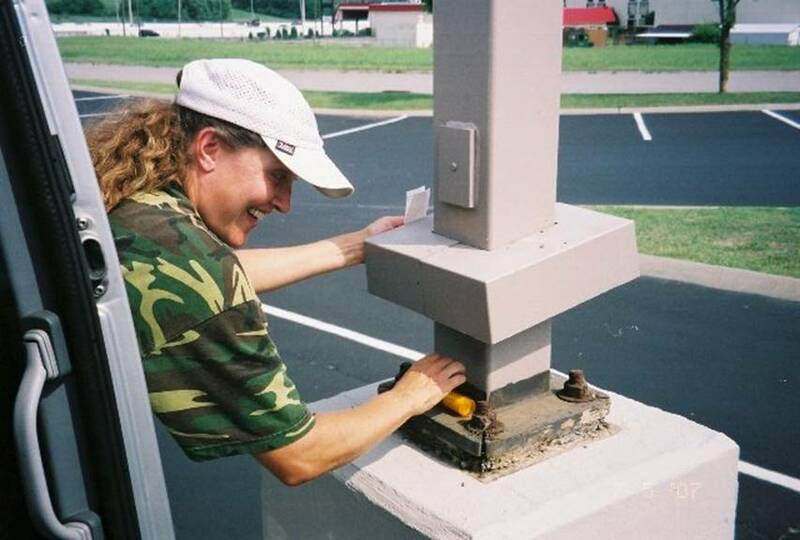 Often a day of geocaching will test one’s attitude, and it’s important to find caching teams that maintain good ones. That’s at least true for me. I always have a fun and relaxed time with f0t0m0m, as that’s his nature, and we both know that it is just supposed to be fun after all. I feel blessed to have the time and resources to be able to get out there and enjoy life through geocaching so often! I haven’t logged in yet, so check my profile in a couple of days for the list of what we found this week. Until next week, happy, bucolic caching!